Greetings from Miami, Florida, where I’m attending the Ethics and Public Policy Center’s Faith Angle Forum. 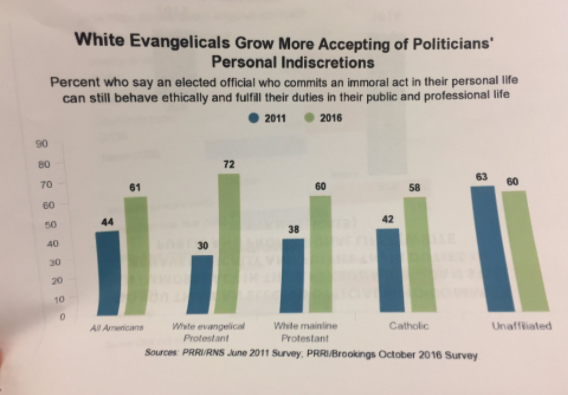 Since 2011, all Americans have shifted on this question — but (by far) the biggest change came from white evangelicals. Obviously, a lot of this has to do with retrofitting values to justify support for Trump. But while much of it is likely an ex post facto justification, I wonder how much is also an organic shift toward secularism and tolerance — and away from traditional values. I’m not sure which option should trouble conservatives most.